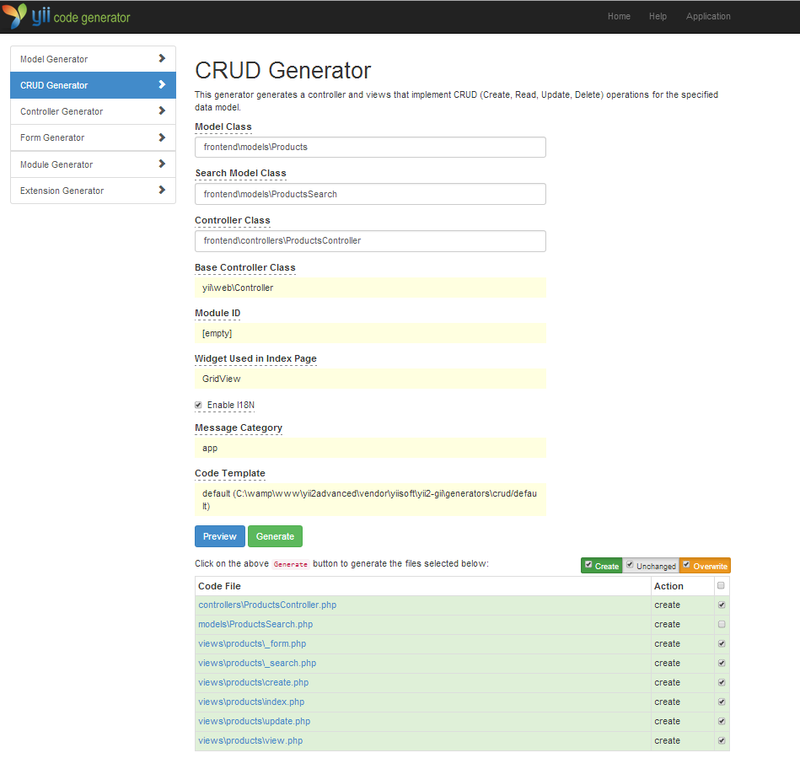 This generator generates a controller and views that implement CRUD (Create, Read, Update, Delete) operations for the specified data model. Click “start” button under CRUD generator to create Controller and Views for corresponding Model. Here you should provide the fully qualified class name of already created Model. Here you can provide search model class. Here you can provide controller class to be generated. Click on the “Preview” button to view the file path and then click “Generate” button to generate files. possible error: Class 'frontend\models\Products' does not exist or has syntax error. * app – your app name. *products – your controller name.